The patch has a ton of stuff in it. PlayerUnknown’s Battlegrounds 12th title update is now live on the game’s test servers, and it’s a pretty substantial one full of new content. One of the most sought-after features in PUBG is included in this update with the ability to select maps. When you click the play button in the top left of the main menu, a new interface will pop up allowing you to choose which of the game’s maps to queue up for. Weapons have received a bunch of tuning in the new update, as all archetypes have been tweaked in some way. Pistols, for example, have had their damage buffed across the board. Meanwhile, some assault rifles have had a slight damage nerf. Most submachine guns will also do a bit more damage now, too. 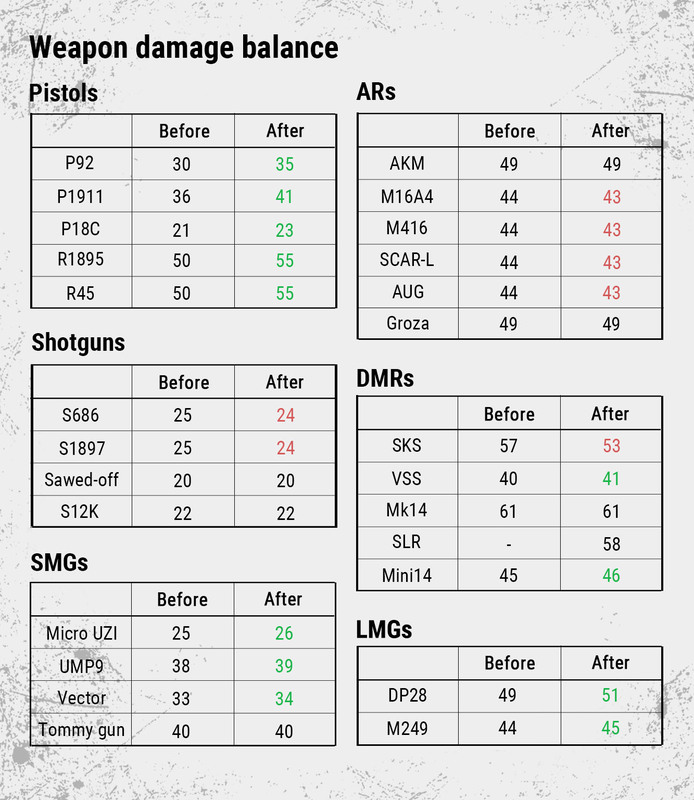 On top of the damage modifications, a lot of weapons have also seen changes to body and head shot modifiers, as well as recoil and range. The full list of changes can be found in the official patch notes. Some other loot items have also seen changes, such as the level three helmet now being relegated to care packages. You won’t be able to find any level three helmets on the floor, but one is guaranteed to be in every care package. Sniper rifle quickdraw and extended quickdraw magazines will also only spawn in care packages from now on. There’s also a good amount of new content in the patch. 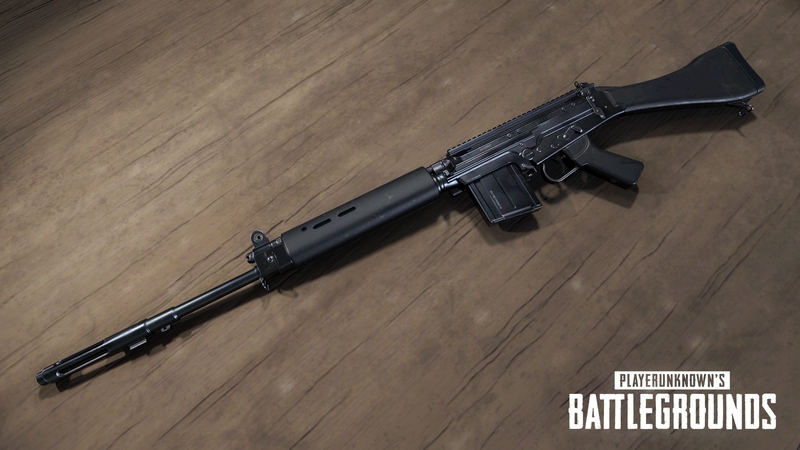 A new weapon has been added, and it’s a 7.62 DMR called the SLR. According to PUBG Corp., it’s a normal loot spawn that is more powerful than the SKS but has more recoil. To go with the new weapon, there’s a bunch of new weapon attachments. These include the duckbill for shotguns, a light grip, a thumb grip, a half grip, and 3x and 6x scopes. All of the new attachments can be found as world spawns. To top it all off, a new vehicle has also been added. The Mirado is a four-seat muscle car that can only be found on Miramar. PUBG Corp. says that it is “the fastest way to blaze down a highway” when compared to other vehicles like the van and the pickup truck. All of the new changes are available to try out right now on the test server. Once the patch is stable, it will be pushed to the live servers for everyone to enjoy.